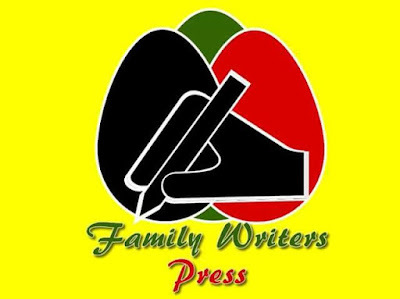 I welcome you all our readers to this very first edition of Family Writers Fact Findings and Analysis coming to you from Ekwenye Samuel Chukwunweike and Sunday Okafor for Family writers. Today we shall be analysing two major events that happened during the week. FIRST ON THE LIST IS THE BOMBING OF THE IDP's CAMP IN RANN (A TOWN LOCATED IN THE NORTHERN NIGERIA). On Tuesday 17th of January, a Nigerian military jet bombed a camp for internally displaced people (IDP), most of these people are displaced as a result of the activities of the terrorist groups likes Boko Haram or the Fulani herdsmen. Many of them have lost their wives, husbands, children, homes, livelihood etc. They depend on the little which some government agencies and the Médecins Sans Frontières (MSF) are providing to them. The airstrike to their camp according to a staff of the NGO called Médecins Sans Frontières (MSF) –ironically which was founded in Biafra land during the Nigeria-Biafra war in the late 60’s by a couple of disgruntled Red Cross staff- stated that “least 200 wounded and 50 dead”. TAKING A VERY CLOSE OBSERVATION ON HOW AND WHY THE NIGERIA AIR FORCE BOMBED THESE POOR PEOPLE. 1. The Nigerian economy is in recession, meaning less attention is given to these internally displaced persons since there are no more funds to provide the basic amenities needed to run these camps. As a result of the recession also the value of the Nigerian currency has plummeted against the US dollars, causing a sharp rise in all goods and services in the country. As a result, the government finds it very difficult to purchase or produce what will be enough to feed these people in their thousands daily. The inability of the government to produce and satisfy the needs of these IDPs must have led them to bombing their camp. Remember that the proximity from the scene of the blast to the Sambisa forest where the Nigerian military jet was supposedly heading to bomb is more than 25kms away. Then how did this so-called “mistake” occur? The question remains unanswered till we received a feedback. THE WAY OUT: The only way out of this quagmire is simple, a complete dismantling of the institutions holding us and Nigerians together; each and every nation allowed to explore their fundamental right of self-determination. We as Biafran will be able to figure out what suits us better and the Oduduwa or Arewa peoples can as well define their own destiny. First of all, Donald Trump is now the 45th president of the United States of America. Biafrans were seen rallying in their numbers in the streets of Igweocha (now known as Porthacourt). The events was all peaceful and orderly, until a detachment of Nigeria security forces from the police, army, DSS began shooting unarmed civilians which included youths, market women and old men; resulting in the death of over 20 people and many others that were injured. The whereabouts of over 200 are still yet to be ascertained. ANALYSING ON WHY MANY BIAFRANS ALWAYS ARE SHOT AND KILLED AT ANYTIME THEY ARE RALLYING. 1. Buhari vowed to either die rather than to live and see the Republic of Biafra restored as a country. Do you think that Buhari is ready to die now on his wish? It’s automatically no. And that's why he is doing all his possible best to intimidate, maim and silence Biafrans and their motives of restoring the Republic of Biafra as a country. 2. The only motivation behind the mindset of ‘ONE NIGERIA’ is the oil wells located in Biafra land which has been the main source of the Nigeria economy. Because they would not like to lose these oil wells, the Fulani oligarchy in concert with the masters in Britain are ready to keep killing Biafrans (or whoever is a threat to their oil interests) to mute them and their struggle. With this we end the week's edition of FWFFA. Remain blessed till the next edition, goodbye.